AnyLogic North America, LLC along with AnyLogic Software maintains global headquarters in Chicago, IL USA with Consulting, Sales and Marketing professionals. Founded in 1992, AnyLogic Software is the first and only tool that brings together System Dynamics, Process-centric (Discrete Event), and Agent Based methods within one modeling language and one model development environment. AnyLogic is now bringing simulation into the supply chain world with anyLogistix, a new easy-to-use platform that combines traditional deterministic solvers with rich simulation functionality. Decision making in industry continues to become more complicated. Customers are more demanding as competition is fierce and costs for labor and materials continue to rise. Managers need state-of-the-art tools to help in planning, design, and operations. AutoMod supports hierarchical model construction allowing users to reuse model components, decreasing the time required to build models. Recent enhancements to AutoMod’s material handling systems have increased modeling accuracy and ease-of-use. The next evolution of AutoMod is in progress ensuring that it will meet the needs of the simulation market for years to come. These advances have made AutoMod one of the most widely used simulation packages. The AutoMod product suite from Applied Materials has been used on thousands of projects empowering engineers and managers to make the best decisions. AutoMod’s power lies in its performance, scalability and accuracy in detailed modeling of large and complex manufacturing, distribution, automation and logistic operations, leaving the competition behind. Arena® Simulation Software from Rockwell Automation Arena is the world’s most widely used discrete event simulation software. Arena enables organizations to enhance operational efficiency and reliability by modeling their business processes. Companies can test and evaluate process improvement options before implementing them in actual operation. The end result is increased throughput, better use of personnel and resources and shorter processing times resulting in higher profitability. Arena is used by companies around the world, including the majority of the S&P100 companies. We will be featuring three products or services: (1) simulation modeling and applied statistics short courses, which have been presented more than 550 times in 20 countries; (2) the 5th edition of the book Simulation Modeling and Analysis by Averill M. Law, with 163,000 copies in print and 16,000 citations; and (3) the ExpertFit distribution-fitting software, with more than 3000 user organizations worldwide. Next-Generation Dynamic Simulation Software, powered by an Interactive On-The-Fly simulation engine, Simcad Pro enables users to plan new facilities, optimize processes and procedures while improving automation logic, production and labor scheduling. Simcad Pro, running on a patented multi-core 64bit simulation engine, is the easiest to use and most powerful simulation software on the market. SimTrack is a turn-key solution for Real-Time predictive analytics, monitoring, reporting, optimization, real-time work instructions and schedule optimization. Pick up your Free IAnimate3D and SimData software at our booth. Emulate3D develops cost-effective software products for the demonstration, understanding, use, and sale of automated material handling systems, and their efficient market deployment, support and maintenance. Our market is defined as those companies planning investments in partly or fully automated material handling systems, companies offering these systems, either OEMs or integrators, and academic institutions. Emulate3D products are built around the Emulate3D Framework, and this is both accessible and extensible. Many companies benefit from this technology, saving time and money at multiple points along the arc of their material handling projects from initial conception through to implementation and use. Four Product Ranges, One Common Approach Emulate3D is used to test and develop your control system offline, without the constraints, dangers, or inconvenience associated with site work, and before the real system is even built. You can save time and money by testing the logical operation of the control system before on-site commissioning; by taking controls testing off the project’s critical path. Virtual commissioning allows you to reduce overall testing time and makes on-site work more predictable and straightforward. Sim3D is used to analyze system throughput, identify bottlenecks, dimension layouts accurately, and test out different operational modes to increase your understanding of how a system responds to changes. You can bring “what if?” scenarios to life and compare results to select the best configuration and functional parameters for your requirements. Sim3D helps you to reduce the risks associated with your project decisions. Demo3D is used to build impressive and accurate demonstration models, create dynamic CAD layouts, and generate a bill of materials from plug and play catalog elements in time for those initial project discussion meetings. Demo3D’s unique build approach makes captivating sales models cost-effective, and allows your prospects to envision your proposals realistically. Layout3D is used to create layouts rapidly from catalog items and imported CAD, and generate videos and multi-view plots or prints as leave-behinds. FlexSim is excited to unveil FlexSim 2017 at the Winter Simulation Conference, where we will showcase the latest features in our flagship simulation modeling software. For the past year, we’ve continued to innovate and develop the most capable and easy-to-use simulation solutions available. Join us for actual examples of how FlexSim has been used to solve problems in manufacturing, healthcare, and logistics. We’d love to show you how FlexSim is the right fit for your simulation needs. 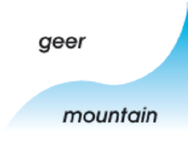 Geer Mountain provides a statistical software program, Stat::Fit®, to analyze data for discrete event simulation or other event driven modeling. Stat::Fit® includes 32 distributions and enhanced graphics capabilities. The Auto Fit function automatically fits continuous and discrete distributions and provides relative comparisons between distribution types. The Export function translates the fitted distribution into specific forms for simulation software. The Distribution Viewer allows interactive display of distributions. In this fast-paced world, if you’re caught standing still, invariably your business will do the same. Instead of being reactive, use ExtendSim to be proactive and keep moving forward. ExtendSim features a customizable modeling logic where relationships between modeling components are visible. Its flexibility provides the ability to create and couple hierarchical subsystems, design interactive user interfaces, and rapidly explore design options. Join the thousands of others who have discovered the value of simulation with ExtendSim. Visit our table to pick up the latest information on all we have to offer our members: journals, magazines, meetings, videos and podcasts, tutorials, career center, certification, continuing education, courses, Community memberships, and more. Isn’t it time you become a member of INFORMS? We are now taking applications for 2017. Member benefits guides and application forms are available. INFORMS is a proud co-sponsor of the 2016 Winter Simulation Conference. Sara Miller McCune founded SAGE Publishing in 1965 to support the dissemination of usable knowledge and educate a global community. SAGE publishes more than 900 journals and over 800 new books each year, spanning a wide range of subject areas. Our growing selection of library products includes archives, data, case studies and video. SAGE remains majority owned by our founder and after her lifetime will become owned by a charitable trust that secures the company’s continued independence. Principal offices are located in Los Angeles, London, New Delhi, Singapore, Washington DC and Melbourne. www.sagepublishing.com. 225 Franklin Street, 26th Fl. Since 1994 SIMUL8 Corporation has been producing powerful, intuitive simulation software. From strategic to operational, our powerful simulation software can handle as much complexity as you need it to, meaning you get the results you need to make decisions fast. SIMUL8’s powerful solutions have already helped global industry leaders transform their organizations and achieve higher levels of performance. From single user licenses to application development frameworks, we have the simulation product to fit your needs. SCS is the world’s premier professional society devoted to modeling and simulation (M&S). Through our quality journals, JDMS and SIMUATION, and our international conferences, we serve M&S professionals from around the world. Our membership includes individuals from industry, government, and academia whose interests span all aspects of M&S. VMS Global, Inc. has provided simulation-based planning and scheduling solutions for high-tech industries including semi-conductor, LCD/OLED panel manufacturing. As a leading SCM solution provider, VMS Global continuously improves the applications with current issues of world-renowned customers like Samsung Electronics, Samsung Display, LG Display, SK Hynix, Micron Technology. VMS Global makes the best efforts to grow with our customers through continuous technology development, and grows to be the technology-oriented venture company fulfilling CSR (corporate social responsibility).